This finicky red wine grape is mostly used in Bordeaux blends, adding deep color and tannins to the wine. However, it ripens fairly late, so it is not used as often in blends as Cabernet Franc. Petit Verdot has been quickly gaining popularity in New World regions, particularly in the United States. These regions will often make Petit Verdot as a single varietal or blend it to soften out other varietals. 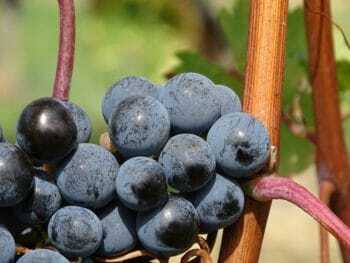 Viticulturalists believe that Petit Verdot has been around before Cabernet Sauvignon. Its popularity among winemakers has dwindled given the fact that it ripens so late and takes a long time to age enough to be drinkable. This wine is extremely age-worthy and decanting before drinking is a must. Young Petit Verdot smells and tastes like bananas and pencil shavings. However, these aromas develop into leather with floral hints as it matures. Petit Verdot is fruit forward, full-bodied, very acidic, with medium to high acidity and alcohol levels. Common flavors include plum, black cherry, blueberry, flowers, and sage leaves. Cooler climates that produce Petit Verdot will have more sage and herb flavors, while warmer climates will have more jammy flavors. If you are looking to experience a single-varietal Petit Verdot, head toward the United States section of your local wine shop. Washington State or California is your best bet. It is surprising to know that Spain actually produces more Petit Verdot than France. 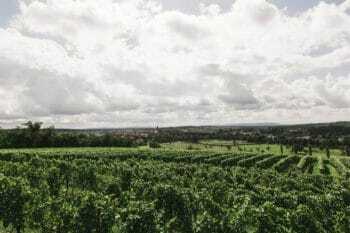 New World wine countries are quickly planting this grape in order to bulk up their blends and produce a unique age-worthy single varietal wine. Petit Verdot is produced as a single varietal in many regions throughout Spain, including Castilla la Mancha and Mentrida. Spanish Petit Verdot will be less floral and have unique flavors of black licorice, clay, and black pepper. You won’t find a single varietal Petite Verdot in France. However, it is sometimes used in Bordeaux blends. It adds a deeper color and complexity to Cabernet Sauvignon and Merlot. Petit Verdot is produced in the Central regions of Australia including Barossa and Riverland. Here you will find a lighter Petit Verdot that is rich in floral aromas and jammy flavors. California and Washington State have recently been planting more Petit Verdot for Bordeaux style blends and to make a single varietal wine. Warmer parts of California will produce a Petit Verdot with rich flavors of dark berry jam. 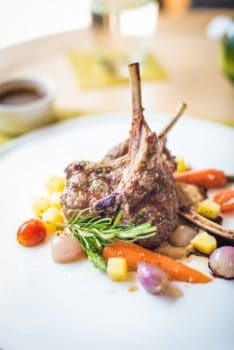 Petit Verdot is yet another amazing pairing for any lamb dish: Lamb chops, lamb stews, shishkabob. The high tannins and acidity will slice through the fat of the dish. A juicier warm region Petit Verdot will complement dark roasted meats and potatoes with its jammy flavors. This is also a great red wine for vegetarian and vegan dishes, pairings well with rice, mushrooms, beans, and eggplant.